NORMAN, Okla. (AP) A year ago, Buddy Hield was dropping 3-pointers seemingly at will, leading Oklahoma to win after thrilling win. The Sooners were ranked in the top five, and they eventually earned the Final Four banner that hangs high at the Lloyd Noble Center. Hield is now with the NBA’s New Orleans Pelicans, and those close wins he once willed Oklahoma to have become deflating losses. The Sooners are 8-14, and the some of the defeats are heartbreakers. There was the double-overtime loss to Iowa State that saw the Sooners blow a six-point lead in the first overtime . They also squandered a five-point lead in the final 15 seconds against Texas and lost on a 3-pointer with 11 seconds left against Oklahoma State. Kruger, one of college basketball’s most successful coaches, is struggling through one of his worst seasons. He sees a bright future – the Sooners won at West Virginia when the Mountaineers were ranked No. 7 nationally . They hope to duplicate the effort Wednesday, when they host West Virginia in the rematch. Senior guard Jordan Woodard is among the conference’s leading overall scorers, averaging 15.4 points this season, and freshmen Kameron McGusty and Kristian Doolittle are among the conference’s top newcomers. 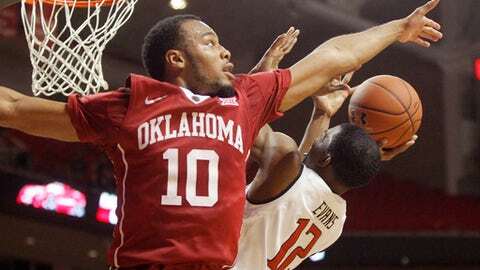 McGusty is Oklahoma’s leading scorer in conference play, averaging 15.8 points. Doolittle is the team’s top rebounder in conference play (7.3 per game). Woodard is the team’s top overall scorer, but he has had some rough patches during conference play. He said teams are defending him differently now that Hield, Isaiah Cousins and Ryan Spangler are gone, but he also knows he still has to deliver.